Happy last day of 2010. 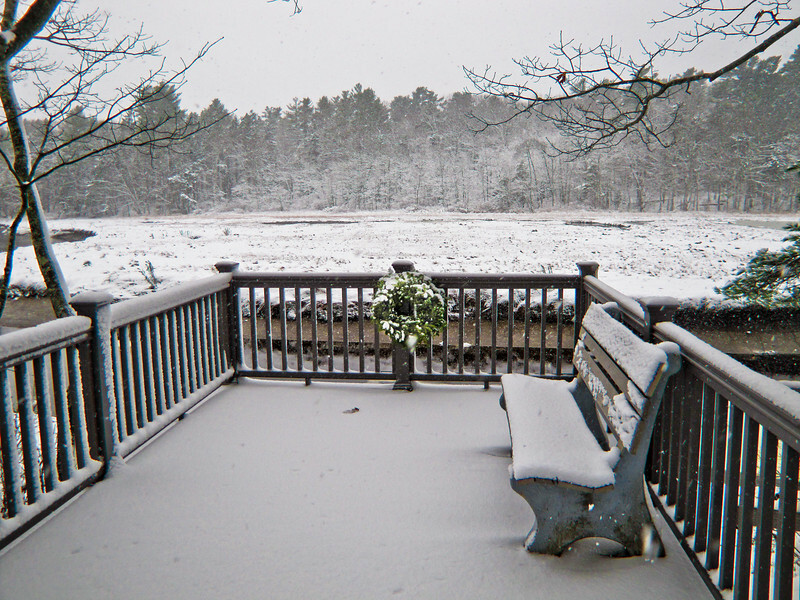 I suppose this should be a day of reflection…but for me it is a day of anticipation…what will 2011 bring? 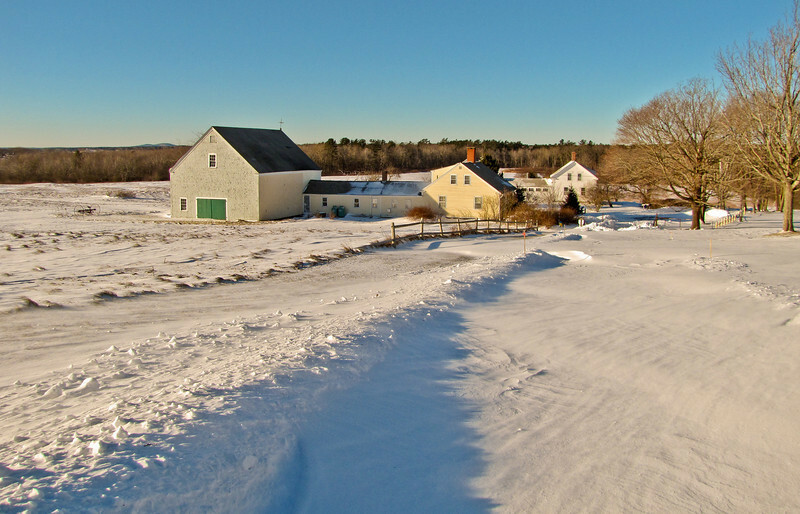 This snowbound salt farm sits at the edge of Laudholm Farms and the Wells National Estuarine Research Center in Wells ME. The Blizzard closed the road (which is, for the most part, unused as the entrance to Laudholm is beyond the farm on the other side where there is access from another road). Salt farms were a feature of the northern New England Colonial Coast, where the first and richest farms were established on the tidal marshes and estuaries, which did not have to be cleared. Salt hay was a staple for New England dairy in winter until well after independence. You can see that the road had been plowed sometime during the storm, but drifts closed it again quickly. And here is a detail from the left side of the image above…I zoomed in to isolate it. Both images have been cropped for composition. Canon SX20IS. 1) 28mm, f4 @ 1/640th @ ISO 80. 2) 190mm, f5 @ 1/500th @ ISO 80. Snow Mode. Processed for intensity and clarity in Lighrtoom. 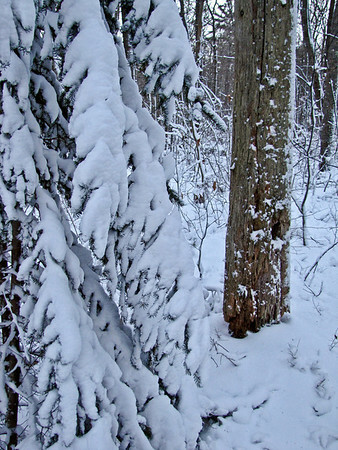 Exposure was reduced in 1) for better tones on the snow. 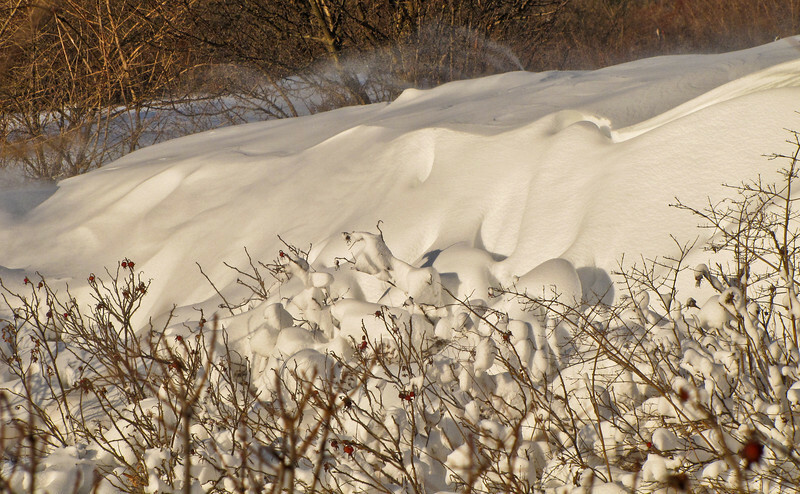 Bright sun on snow! Always an exposure challenge, but who could resist the wind sculpted shapes of this drift (any drift you don’t have to drive through for that matter). 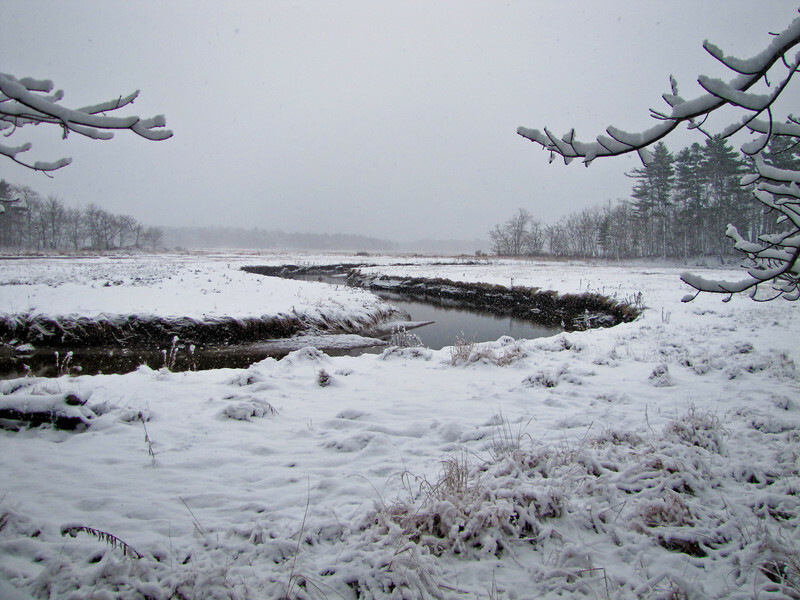 We are along the edge of Back Creek where it flows into the Mousam River in Kennebunk ME…where the fields meet the fall to the marsh…and the high winds of the blizzard of the day before (continued into this day) dropped the snow into graceful folds and impossible shelves, half burying the Beach Rose in the process. And, actually, with today’s best P&S cameras, Snow Mode does an amazing job of simplifying the exposure problem. The shots I took this day in unaltered Snow Mode are among the best sun-on-snow shots I have ever recorded. The shots where I second guessed the exposure system…not so much! And here we are closer in: notice the plume of blowing snow off the top. The wind is not done with this drift. Take a look at this one as large as you monitor will allow. 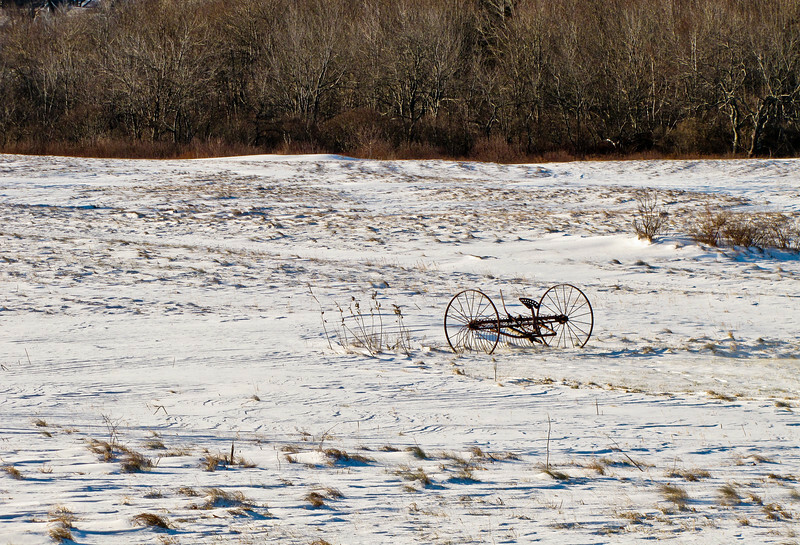 Canon SX20IS in Snow Mode. 1) 70mm, f4 @ 1/1000th @ ISO 80. 2) 250mm, f5 @ 1/1000th @ ISO 80. Processed in Lightroom for intensity and clarity. These shots could only stand a very slight amount of black-point adjustment. Both were cropped for composition and interest. 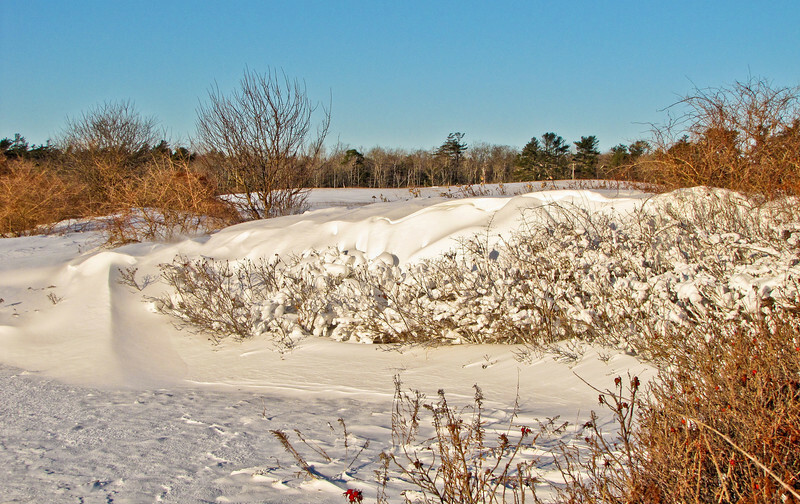 Three more from immediately after the December blizzard in Southern Maine, from the little loop trail behind the headquarters at Rachel Carson National Wildlife Refuge. Each is, I think, a strong image in its own (and would repay closer study by clicking the image as link to my WideEyedInWonder site), but they work together to create what is perhaps a deeper impression. Canon SX20IS. 1) 375mm, f5 @ 1/30th @ ISO 200. 2) 80mm, f4 @ 1/30th @ ISO 200, 3) 35mm, f3.2 @ 1/60th @ ISO 200. Landscape mode. Processed for intensity and clarity in Lightroom. It stopped snowing late in the afternoon yesterday, at the tail end of Maine’s first blizzard of the winter of 2010, and I got out for an hour or so…until the light failed. 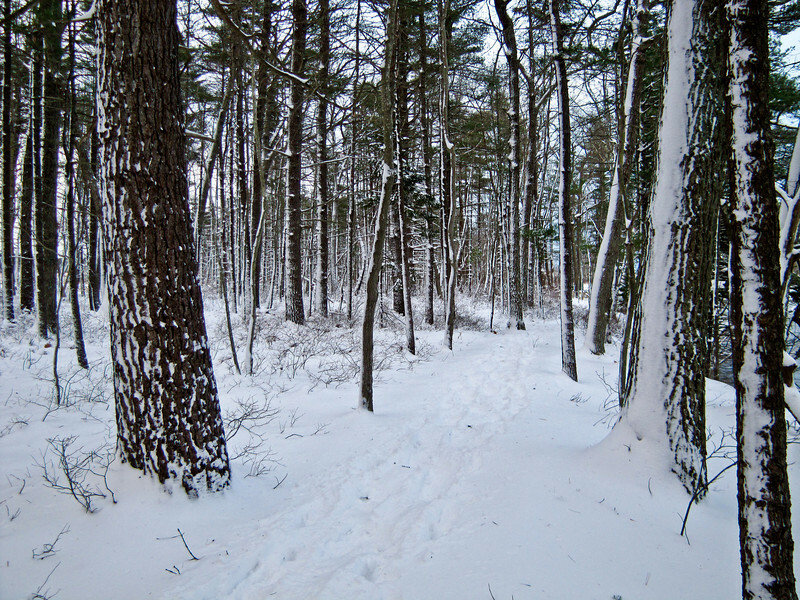 This is Rachel Carson NWR, where someone had already been around the trail a few times in snowshoes…which made it considerably easier for me in my boots. I like the light here and the subtle leading line of the snowshoe prints…and of course the trees painted white by snow on the wind. Canon SX20IS at 28mm equivalent, f2.8 @ 1/60th @ ISO 80. Landscape mode. Processed for intensity and clarity using my normal methods in Lightroom (see page link), but more fill light than normal to pick up the green in the trees, less blackpoint, and some added brightness. As I post this snow-storm image from last week, we are in the middle of our first real blizzard of the winter in Maine. It is not light enough to see the damage yet, but the wind is howling around the house and there is snow stuck in the window screens. It is not scheduled to pass off until late afternoon. Should be interesting. 10-18 inches of snow. Watch this space! 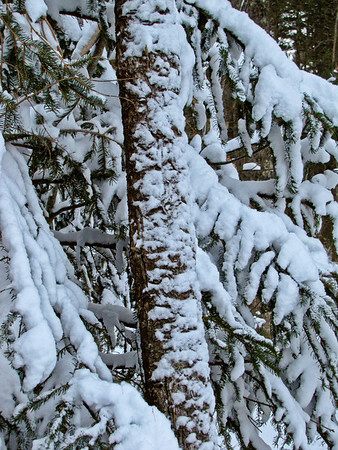 This shot, however was during a much more gentle storm, as you can see from the snow built up on the branches. This is one of my favorite views at Rachel Carson NWR, where the Little River makes it’s classic “S” bend on its way to the sea. 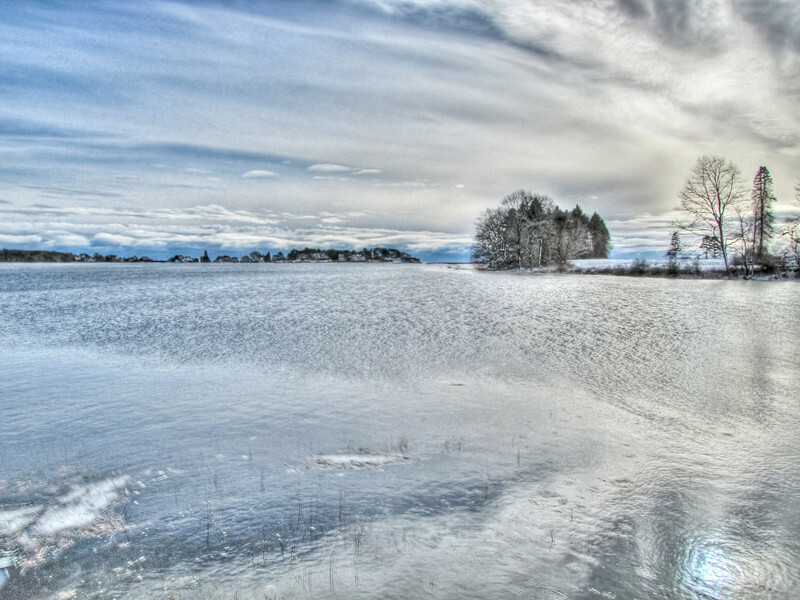 It is an all weather view, just as attractive here in the snow with snow closing the horizon, as it is in full summer with a dramatic sky. Canon SX20IS at 28mm equivalent, f2.8 @ 1/200th @ ISO 80. Landscape program. Processed in Lightrooom for intensity and clarity, and adjusted for brightness. Happy Sunday! Happy day after Christmas. Happy Boxing Day. After our brief snowstorm last week, the sky lightened and the light grew as the sun peaked out off and on, and the world, just for a few moments, glittered and sparkled with what seemed an inner light. 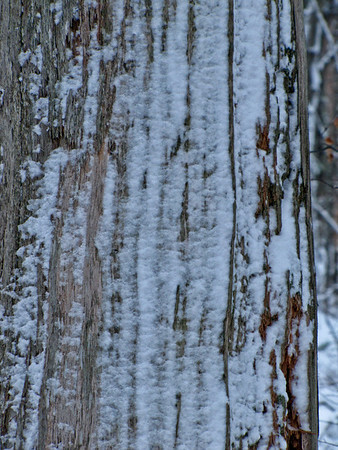 With temperatures rapidly rising to the upper 30s, the snow on the trees came literally and figuratively raining down. I attempted to find a spot to catch the light before it passed. We are having unusually high tides the past week, with the full moon, coastal runoff, and onshore winds, and here we see the lower Mosuam River filled brim to brim. Where I stood to take the image, you generally look out over a relatively dry marsh to the river which runs, in perspective, not far in front of the trees and houses on the far side. The trees at the right are generally 300 yards from water, even at high tide. But, of course, what really caught my eye was the sky and the light in the water, the silvery blue expanse, full of texture and movement, running back under that strong diagonal mass of cloud…and the highlight behind the bare trees on the right. To capture this range of light with my Canon SX20IS, I resorted to HDR, three exposures centered around –2/3 EV, then assembled and tone-mapped in Photomatix Pro from within Lightroom. Final processing for intensity and clarity, some sharpening, and a bit of distortion adjustment for the horizon, produced the result above. The Sunday thought?…in less than an hour we went from the quiet beauty of falling snow and misty light, a soft intimate world where even the sounds are muted…to this splash of glory, noisy with light and drama…as overfilled and overflowing as the banks of the Mousam. And that is a metaphor for the well developed spiritual life. From the babe in the manger to the transfiguration and the assentation, and all in-between, all part of our experience, coming in waves along the stream of time. All we have to do is to be open to all of it. There is beauty in every moment. Merry Christmas! May joy find you today! Walking down paths at Rachel Carson National Wildlife Refuge Headquarters during a snowstorm, where mine were the first footprints, I discovered that someone with a Christmas spirit had been there before me (and before the snow). I was blessed. I am hoping you will be too, especially on this most blessed of days (or on the day we celebrate such a blessing). Canon SX20IS at 28mm equivalent, f2.8 @ 1/250 @ ISO 80. Landscape mode.